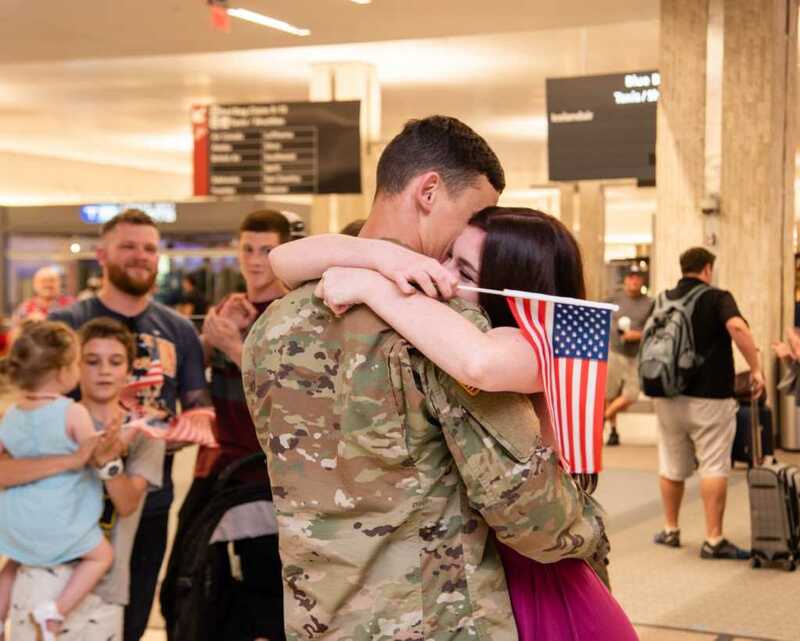 The passengers of one Tampa-bound flight got to share in a special proposal by a U.S. Army soldier earlier this week. One unsuspecting traveler and her daughter on a Delta flight from Raleigh, North Carolina, to Tampa, Florida, happened to be sitting right in front of the soldier, Austin Finch, who was preparing to propose to his girlfriend once they landed at Tampa International Airport on Sunday, Rebecca Fowler told Faithwire. Fowler said posted to Facebook as it all unfolded, saying she and her daughter “got to hear all about the new house he bought and his proposal plan” as they made their way to Florida. It appears Finch is a member of the 82nd Airborne Division and was traveling from Fort Bragg in North Carolina to be reunited with his soon-to-be fiancée. Fowler said Finch’s proposal “brought a lot of us joy” that night. In a comment on her Facebook post, Fowler said the photos she took were the result of a team effort. She said she was aided by “a couple awesome grandmas” who volunteered to hold her bags while she played photographer.